We realize that Many people today are weary of taking their cars to a repair shop for they feel that the overall experience is just to overwhelming. 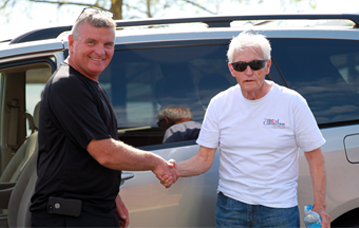 It seems that people feel they will be taken for granted due to the fact they are not knowledgeable on the repairs their vehicle may need or the repairs they are receiving. Which is one of the reasons we have developed a system to keep you informed and ensure your visit is as pleasant as possible. Most of our repairs are appointment based, which is set up on the initial phone call, this insuring all parts are readily available upon your arrival. We take adequate time explaining the repair and addressing any concerns you may have before the service is started. We provide estimates of the cost and completion time also before the repair is started. We use the latest in diagnostic equipment specifically designed for your Honda or Acura, thus providing us the ability to communicate with the highly advanced onboard computer system. We use only GENUINE OEM parts which retain a factory 12 month/12,000 mile warranty good nationwide. We have a friendly and professional staff to make sure your visit is as convenient as possible. We are dedicated to providing you with the best service experience available anywhere. 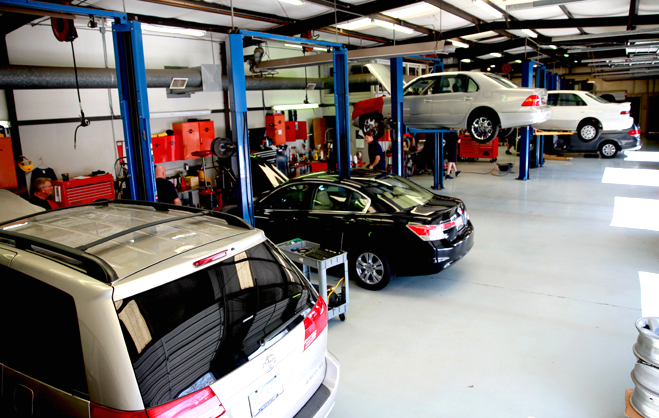 Following these guidelines has allowed us to take the hassle out of auto repair. One of the main reasons vehicles are not repaired right in the first place is poor communication with the customer, the service adviser doesn't take the time to fully understand the problem and get the facts straight on what the customer really wants. Our highly experienced Service Advisers are specially trained to get the information we need so that we get the job done right on the first attempt. This is how we approach the business of auto repair. We strive to remain an organization that stands apart from the rest by providing more than just quality service at a competitive price. Stop by today and see for yourself on how we continue to provide service like no other. Our customers know that their visit will be free of hassle because they can have confidence that we will have any necessary parts in-stock. 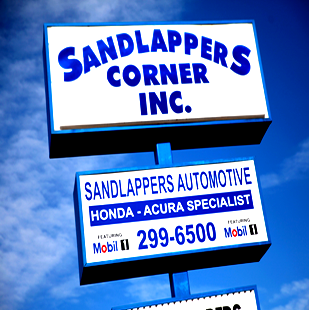 Sandlappers Automotive carries the largest inventory of Genuine Honda/Acura and Toyota/Lexus parts and accessories of any independent shop in South Carolina. Utilizing genuine OEM parts allows us to warranty all of our work with a 12 month/12,000 mile warranty, good nationwide.